Macy’s came under fire on social media by Twitter users who were appalled that images in the department store’s holiday ad are missing Black dads in a traditional family setting. It’s unclear whether Macy’s has more than these four family images in its holiday ad campaign. However, these pictures touched a sore spot for many. While scores of Black dads are not married to the mother of their child, that doesn’t mean that they are uninvolved their child’s life. Black men, compared to white and Hispanic fathers, were the most involved in their children’s daily lives—from talking to their kids to helping them with homework—according to a 2013 Centers for Disease Control and Prevention study . 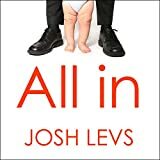 Most Black fathers live with their sons and daughters, the book “All In” by Josh Levs noted. About 2.5 million Black fathers live with their children, while approximately 1.7 million of them don’t live under the same roof with their kids. But covertly, these ads are a form of Sub-cognitive mind control. The message that is portrayed actively suggest that any relationship coupling is better than a Black on Black coupling. We know that media is a powerful tool for mass manipulation and social engineering. Media can be used to elect Presidents, overthrow governments, start wars, and change cultural norms. We also know that the Black psyche has been under constant assault by white supremacist media outlets. But these outlets do not attack Black self esteem for the sake of doing so, but to produce a desired outcome. That outcome is the elimination of any threats to their system. Whites have long been fearful of backlash – politically or otherwise – from their former slaves. White guilt combined with white paranoia leads them do deploy every tactic within their arsenal to prevent Black retribution. …in her natural uncivilized state, she would have a strong dependency on the uncivilized ni**er male, and she would have a limited protective tendency toward her independent male offspring and would raise male offsprings to be dependent like her. Nature had provided for this type of balance. We reversed nature by burning and pulling a civilized ni**er apart and bullwhipping the other to the point of death, all in her presence. By her being left alone, unprotected, with the MALE IMAGE DESTROYED, the ordeal caused her to move from her psychologically dependent state to a frozen, independent state. In this frozen, psychological state of independence, she will raise her MALE and female offspring in reversed roles. For FEAR of the young male’s life, she will psychologically train him to be MENTALLY WEAK and DEPENDENT, but PHYSICALLY STRONG. Because she has become psychologically independent, she will train her FEMALE offsprings to be psychologically independent. What have you got? You’ve got the ni**er WOMAN OUT FRONT AND THE ni**er MAN BEHIND AND SCARED. This is a perfect situation of sound sleep and economics. There are a number of ways that Black men are still being “burned and pulled apart”. From Tamir Rice and Jordan Edwards to Jemel Roberson and Botham Shem Jean, Black boys and men are being killed – lawfully and unlawfully – at a cyclic rate. And the ‘male image’ alluded to in the Willie Lynch letter is being destroyed using the media as a weapon. With the Black male removed from the home by mass incarceration, media manipulation, and economic disenfranchisement, and with his image destroyed, the Black family unit is compromised. With the first line of defense removed, the Black woman and child are compromised. The Black woman becomes the next domino to fall. With a lack of available Black men to chose from, Black women are more likely to seek out partners of other races, ultimately producing a mixed race population. This behavior is encouraged by systems of white supremacy that have long used miscegenation to create racial buffer classes between Blacks and whites in places like Sao Tome and Principe, the United States, Brazil, Cuba, and Argentina. Under the man-in-the-house rule, a child who otherwise qualified for welfare benefits was denied those benefits if the child’s mother was living with, or having relations with, any single or married able-bodied male. The man was considered a substitute father, even if the man was not supporting the child. With her reliance on government assistance and restrictions on bringing a man back into the home, the single Black mother was trapped in a state of perpetual dependence. So Macy’s ‘slip up’ was not a celebration of diversity. Nor was it an accident. It is the perpetuation of the weapons of white supremacy designed to prevent their worst nightmare from coming true.